Our monthly subscription box includes a sampling of wonderful hemp products selected by us with you in mind! Our favorite nutritional, health & beauty products are delivered directly to your door each month. 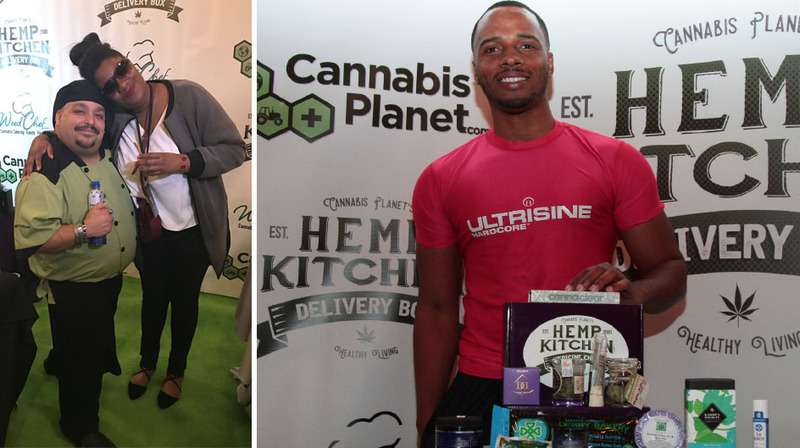 The Hemp Kitchen Delivery Box will feature six new items every month. Be sure to make a list of your favorite items and “build your own box” from our store, for on demand delivery, separate from your subscription any time you want! 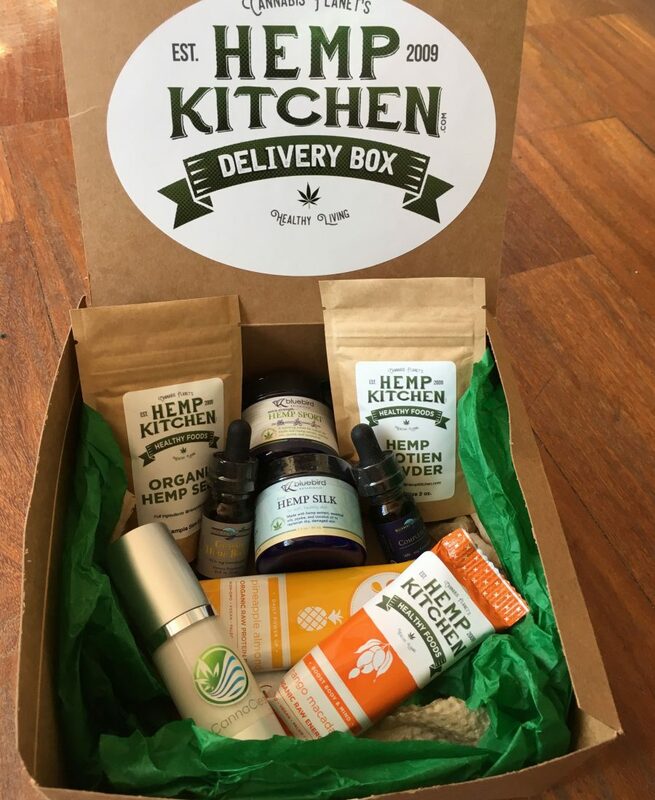 Order your Hemp Kitchen Box today! The terpenes from the hemp and the essential oil blend will help with your headache or nausea before applying topically. Don’t forget to apply a little under your nose to get an ongoing aromatherapy treatment. 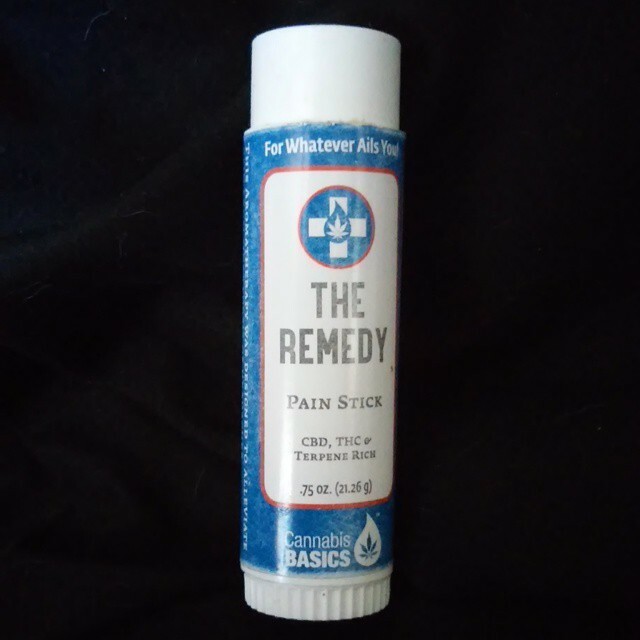 Apply liberally to the temples, back of the neck, joints, muscles, anywhere you feel pain, stress or inflammation. Recap and continue to apply pressure using the contours of this container as a massage tool. 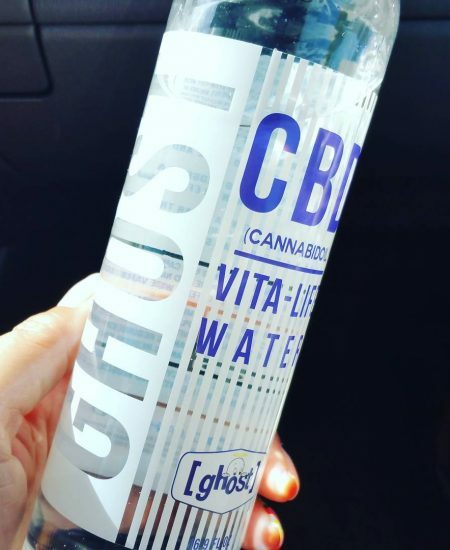 Our first product utilizing CBD, THCA and THC along with Arnica Montana and other therapeutic botanicals is already being celebrated because “it works so well”. 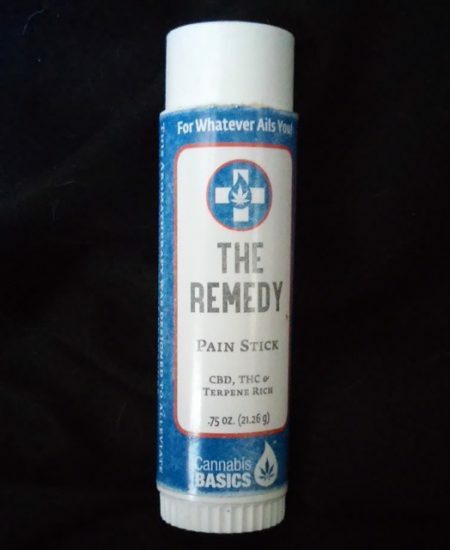 The Remedy is the perfect all-purpose pain relief stick conveniently carried in your briefcase, backpack or purse. 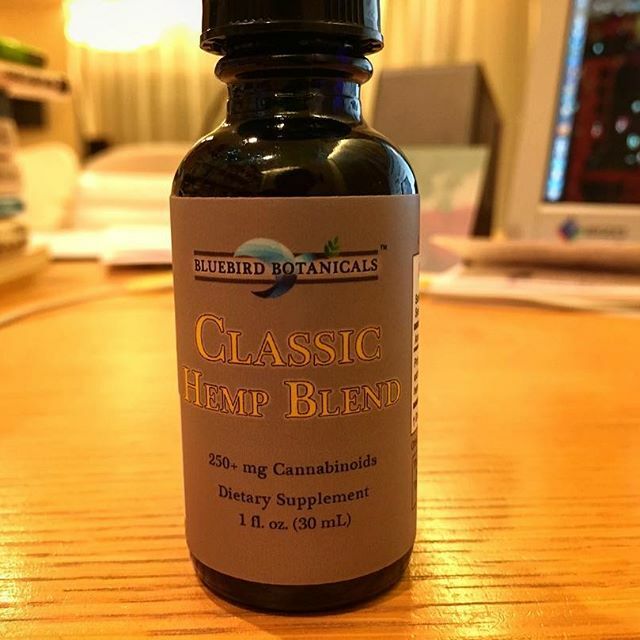 Hemp Classic 10ml– 83+ mg cannabinoids in 10ml (1/3 fluid ounce). 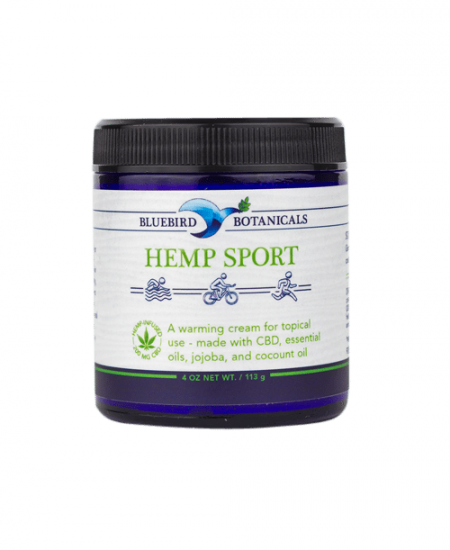 Ingredients: CO2 Hemp Extract emulsified in organic, virgin hemp seed oil. 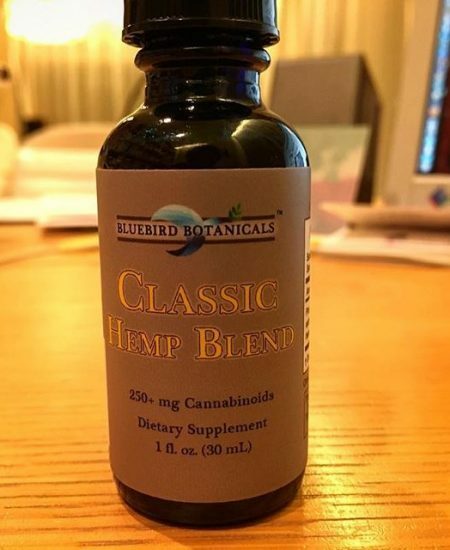 Our first and most popular hemp extract blend. 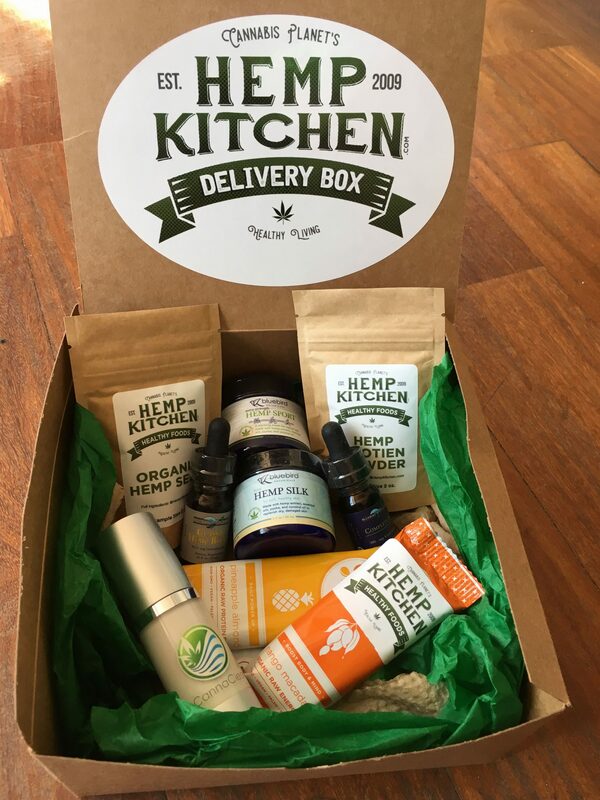 The Hemp Kitchen Delivery Box will feature six new items every month. Be sure to make a list of your favorite items and "build your own box" from our store, for on demand delivery, separate from your subscription any time you want! 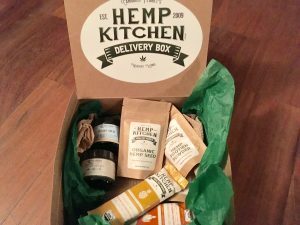 Order your Hemp Kitchen Box today! Need additional pricing? Get in touch for custom orders. 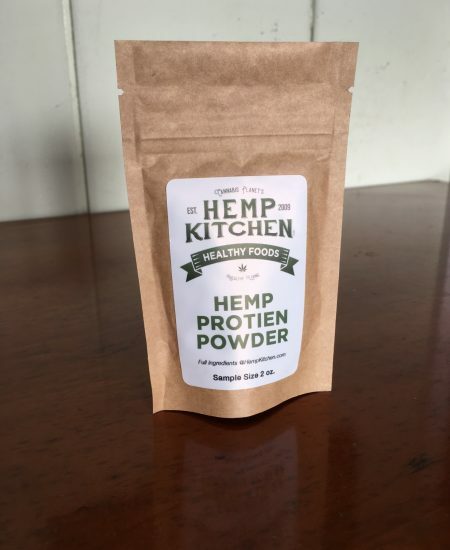 Our Hemp Kitchen box is a gift of nature. Hemp belongs to the genus cannabis sativa and has been cultivated for thousands of years as source of fiber, edible seeds, edible oil, lubricant, and can be used for thousands of other applications. 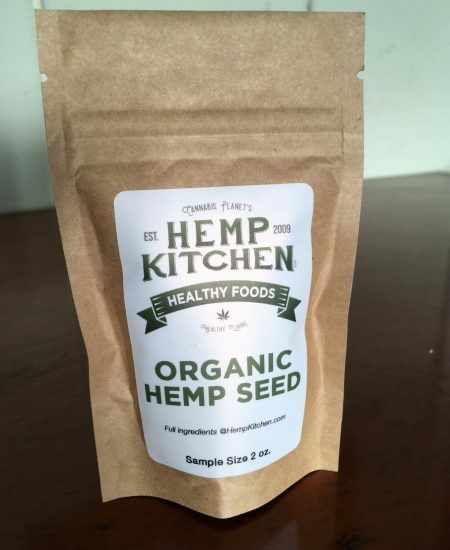 Hemp Kitchen makes healthy hemp foods and sends them directly to your doorstep on demand. 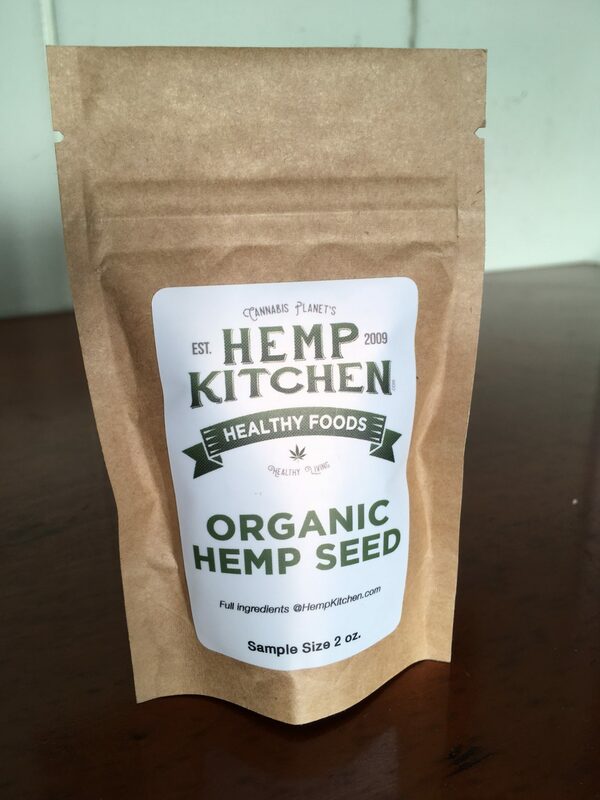 We also have a monthly subscription box of healthy hemp foods and other hemp products. 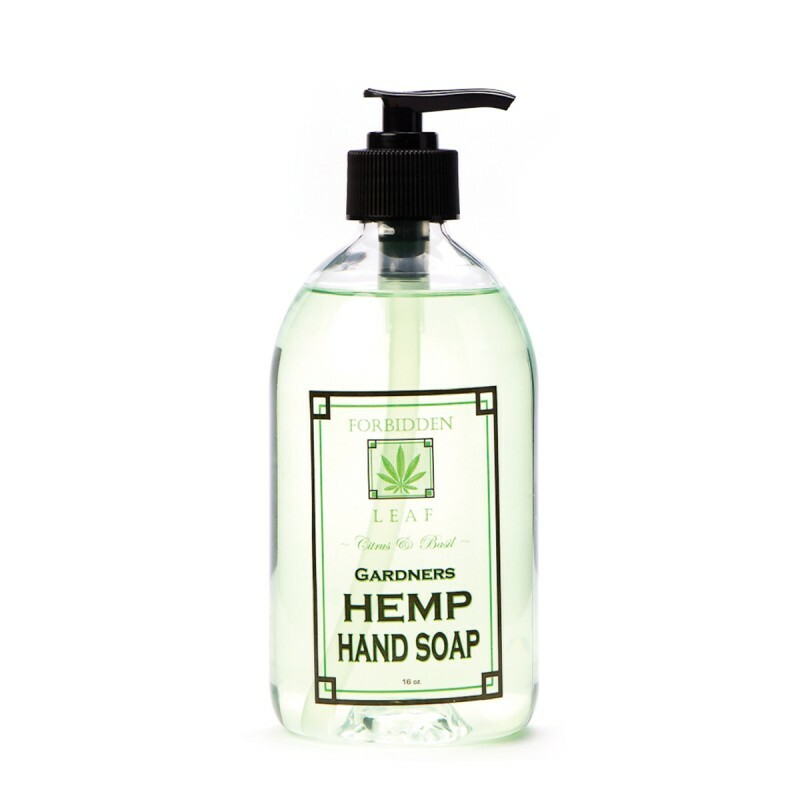 The Hemp Kitchen also offers a Cannabis infused “Medicine Chest” to medical cannabis patients. 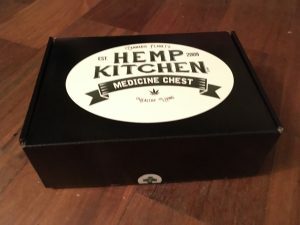 Hemp Kitchen Also provides a Medicated Box subscription. 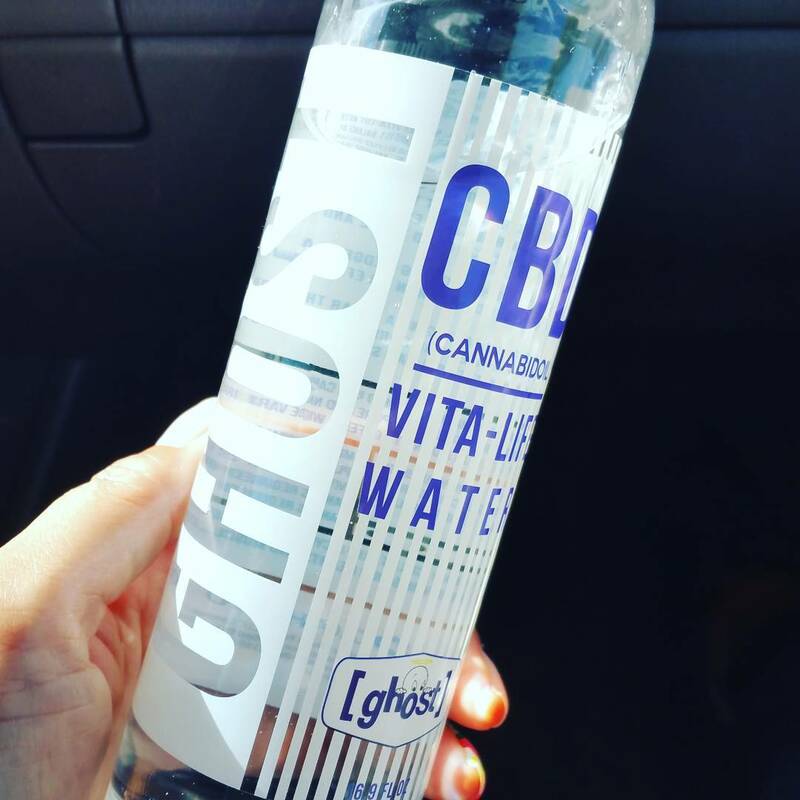 Our medicated recipes included will show you how to make the freshest cannabis infused meals and edibles right in your own home. After digesting the meals, be sure wait at least two hours for the full effect, Keep all products in the original packaging and keep out of reach of children. Learn more about Edibles Tolerence(PDF). Our Medicated Box requires a Valid Medical Card. You bring the guest, We’ll do the rest. Our Team of distinguish gourmet chefs create a tailored-made Hemp menu to meet your party needs. our flexible menus cater ro all dietary requirements. 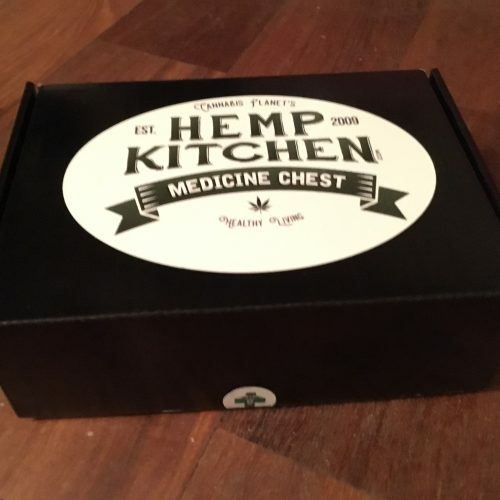 Here you can find our Gourmet Hemp Kitchen Medicine Chest is a tailored high selected made menu of products meet your party needs, our Medicated box caters to all.